What’s old is new again. Borderlands: The Handsome Collection hits the streets today, and that presumably means a whole new set of players who’ll be jumping into the game for the first time. Well, as a veteran of the Pandora Wars, let ol’ uncle D tell ya a few things! First up, you’re going to want some guns! Big guns! The biggest guns that you can possibly find! And the best way to get those, are with golden keys! Which are easy enough to obtain. Remember, you’ll need to sign up for a shift account in order to redeem said keys, which can be done right here. Gearbox regularly hands out keys through its social media feeds, so keep an eye on their Twitter and Facebook accounts. So what makes these keys so valuable, you ask? Easy: They give out the best loot. 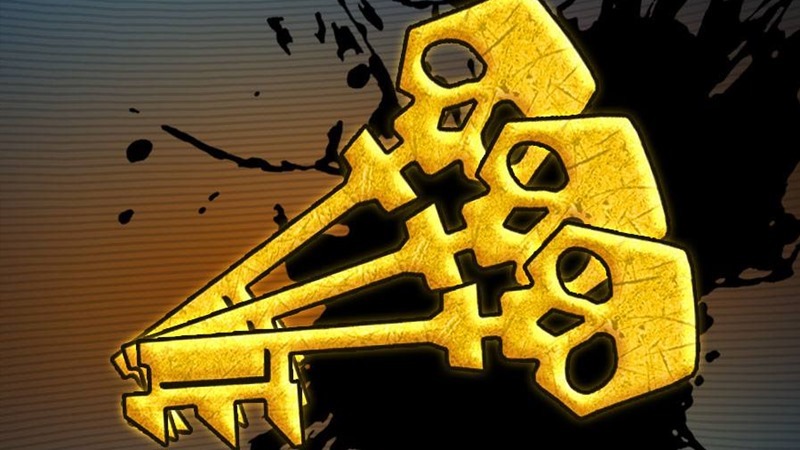 Whether you’re playing Borderlands 2 or the Pre-Sequel, you’ll be able to access a golden chest in either Sanctuary or Concordia, that can only be opened with those keys. Inside, you’ll usually find purple and pink level guns which come with extra damage and effects. There is of course, a catch to all of this: The guns are tied to your level. It’s usually worthwhile to only use keys every five levels or so, to maximise progression in Borderlands. And another reminder: If you’re hopping over from old-gen Borderlands to current-gen, don’t forget to link your Shift account. That’ll net you 75 golden keys, which is perfect for those of us who aren’t able to import characters. Especially for those of us who sold their Xbox 360 and Borderlands 2 game, like some sort of impatient numpty. Yes, you are right to point and laugh. I’m rather used to it by now.